Boy Scouts of America Troop 312 (Indian Waters Council) is sponsored by Saint Simon and Saint Jude (SSSJ) Episcopal Church, located at 1110 Kinley Road in Irmo, South Carolina. Our Scoutmaster is Mr. Mike Shelton. We meet at SSSJ every Tuesday night at 7:00 p.m., and we welcome all boys interested in becoming Boy Scouts as well as their parents! If your son is currently a Webelos and considering becoming a Boy Scout, we encourage you to contact our troop and we will answer any questions that you might have. We are an active troop and are open to new members. We hope to see you at a Scout meeting soon! 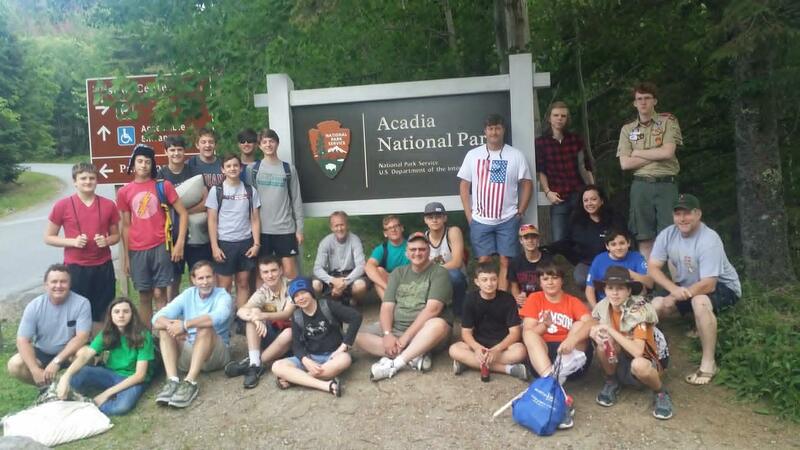 Troop 312 has picked a destination for the 2019 X-Country Trip. Click HERE to find out more details. To get updates via Facebook, click on the above icon. button on the upper right side of the group page.